Welcome to stay with us! We live in the same house ourselves, that’s why the place is officially called Villa Ottilia Kodumajutus—in direct translation “Home Accommodation”. In practice this means our rooms are up to hotel standards, with the only exception of the showers and toilets being outside of the rooms, but in their immediate vicinity. The atmosphere in the house, though, is quite something else than in hotels sometimes lacking all personality. This is what our guests keep telling us. Comfort, cleanliness, safety and excellent service are Villa Ottilia’s keywords. There are 14 beds in all. On the upper floor, there is a cosy lobby with TV, and on the middle floor, the large breakfast room that doubles as a conference room or a lounge for larger groups. There’s more room on the backyard terrace where you can also have a barbeque. Our wood-fired sauna tends to get top marks from our guests. Room prices always include all taxes, bed linen, towels and a hearty buffet breakfast. No hidden costs or extras. Villa Ottilia has wireless LAN (WiFi) that our guests can use free of charge. In addition, we hire bicycles. We help you make the most of your stay: you get hints about what to do and where to go, directions to places you wish to visit and maps you can borrow. Feel free to tap into our knowledge of the country and the language! 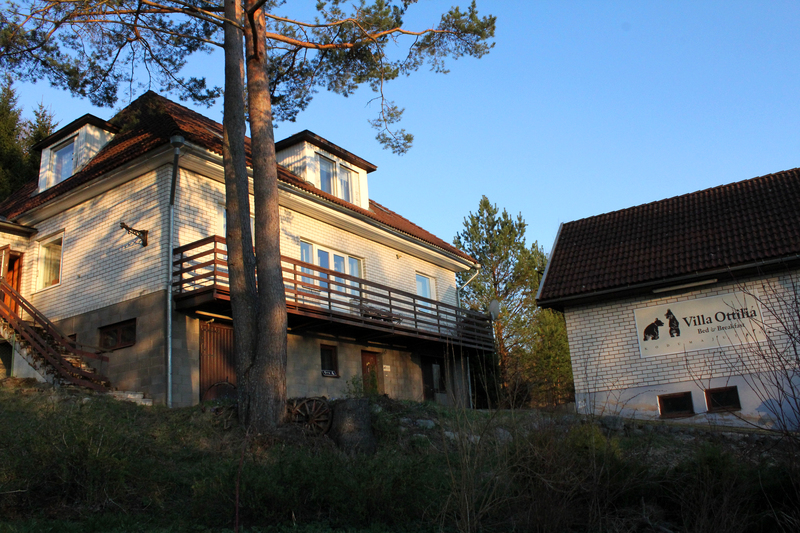 Read more about what you can do in Otepää and surroundings. You are warmly welcome to Villa Ottilia!